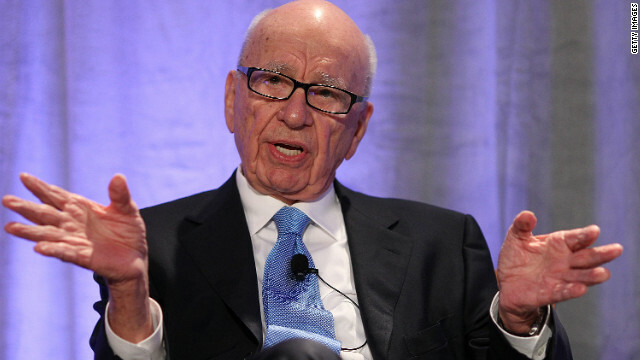 Rupert Murdoch says he has faced a backlash after calling Scientology a "very weird cult" on Twitter. 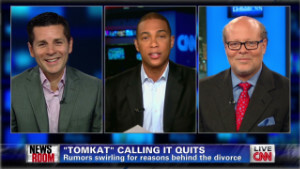 (CNN) -- Rupert Murdoch took to Twitter to lash out at the Church of Scientology and Tom Cruise following the announcement of the actor's divorce. In a series of tweets Sunday, the 81-year-old News Corp. boss classified Scientology as "a very weird cult" and called actor Tom Cruise the "number two or three" man in the church's hierarchy. Murdoch is the latest to weigh in on the announcement that actress Katie Holmes has filed for divorce from Cruise after five years of marriage. As the world struggles to understand what the Cruise-Holmes split means, the octogenarian media magnate warned his followers there is "something creepy, maybe even evil," about Scientologists. 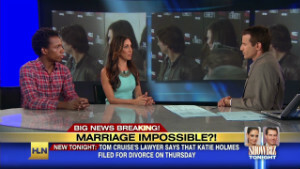 CNN's requests for comment from the Church of Scientology and Tom Cruise have not been returned. Cruise, long one of Hollywood's most bankable stars, broke out in the 1983 film "Risky Business" before going on to star in a slew of box office hits including "Rain Man" and the "Mission: Impossible" series. Cruise is also perhaps the most recognizable face of the Church of Scientology, and made headlines in 2005 with a pair of televised outbursts: one when he told the "Today" show's Matt Lauer that "psychiatry is a pseudoscience," and the other when he "jumped the couch" to profess his love for Holmes to Oprah Winfrey. Murdoch tweeted that his online commentary about Scientology has drawn "hundreds of attacks" since Sunday, and that the mogul expects "they will increase and get worse and maybe threatening." Scientology and Tom Cruise are far from the only subjects to face Murdoch's Twitter ire since he sent his first tweet on New Year's Eve 2011. The Australian-American founder of the News Corp. media empire is a regular tweeter and has used the micro-blogging site to take swipes at "broke" Britain and "cheating" Greeks. For the past week Murdoch has had presumptive Republican nominee Mitt Romney in his sights, asking his followers, "When is Romney going to look like a challenger?" before advising Romney to "hire some real pros" on Sunday.